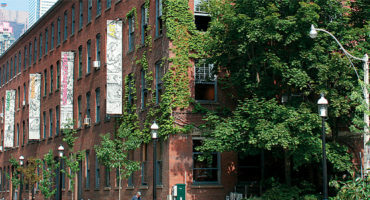 401 Richmond Street West is a restored, heritage-designated, industrial building turned arts-and-culture hub in downtown Toronto. It is home to over 140 artists, cultural producers, social innovators, microenterprises, galleries, festivals, and shops. 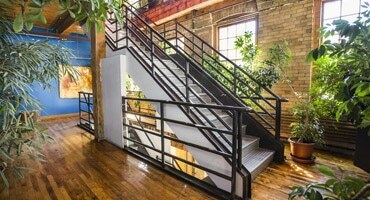 401 Richmond is an award-winning heritage designated building that is open to the public. Explore the range of exhibitions and events presented by 401 Richmond and our diverse tenant community! CALL for Board Members! 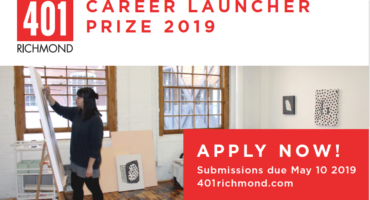 401 Richmond tenant @TangledArtsTO is looking for dedicated community leaders to join their dynamic, future forward organization providing accessible culture for all. MARK YOUR CALENDARS! Further Along The Road presented as a part of Scotibank CONTACT Photography Festival ( @ContactPhoto) and photographed by @eliotewright officially opens on May 1st! MARK YOUR CALENDARS! Further Along The Road presented as a part of Scotibank CONTACT Photography Festival (@ContactPhoto) and photographed by @eliotewright officially opens on May 1st!